Many programs in this collection of Random Rarities #7 are audition Shows for programs that had not yet received a sponsor's "green light" for broadcast. Of course, there are also a few which are the only surviving episodes of longer running series. We Will Never Die: Presented at the Hollywood Bowl, brought to the airwaves on Jul 21, 1944, by NBC, a dramatic pageant meant to raise public awareness of the mass murder of European Jews. Our Secret Weapon: Truth An "anti-propaganda show" from CBS. Author Rex Stout, creator of detective Nero Wolfe, made a total of 62 broadcasts denouncing specifics of Axis propaganda. Prince Valiant Becomes a Knight: an audio rendition of the beginning of comic page favorite, Prince Valiant. Val is a Viking Prince who hopes to become a knight at King Arthur's Round Table. 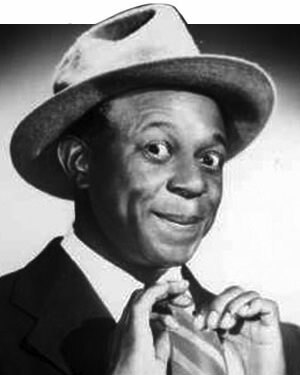 The Private Life Of Rochester Van Jones: A short lived spin-off from The Jack Benny Program featuring Eddie Anderson's popular Rochester character. Juvenile Jury, from Kids being Cute by Being Kids Department: Juvenile Jury was a question and answer quiz show featuring kids as panelists. The program found itself in a quiz show like scandal when one of the panelists made an on-air revelation that the "problems" were given the day before the broadcast and that her answer was "What mommy told me to say". Armstrong Theater Of Today, from Armstrong Flooring, was a half hour anthology drama program, featuring the day's headlines at the beginning of the broadcast. The Author's Studio, short stories presented as radio plays on this syndicated program from NY's WOR. The 1975 Christmas Day show is the story of a broken family coming together for Christmas Dinner. The Bennetts, Carlton Morse presents a family drama about a Seattle Lumber tycoon with a large and complex family. California Caravan: "How Santa Came to Simpsons Bar", a story about Christmas in a California mining camp. Daddy And Rollo a father and his bright but mischievous ten year old son, Nov 1942, WOR, New York. WCOP Boston's Farm and Garden Program gives early morning crop reports and some terrific jazz records. 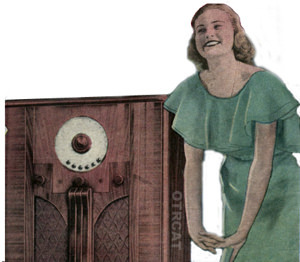 Floretta and Your Musical Scrapbook: a Los Angeles local morning program from Dec 19, 1944. Floretta has classical music records, poetry readings, and advice for young brides that feature her sponsor's product, E-Z Pie Crust Mix. The Great Crepitation Contest of 1946 has been called "the grand daddy of all party records". There is some mystery to the origin of this recording, but it seems to have been made as an in-house joke. Grand Hotel is an anthology program, with the action of the various plays taking place around the Grand Hotel in New York. In this episode, an acting couple is facing tough times when the successful wife loses her sight, forcing her husband to play a double role to spare feelings. Our Secret Weapon: CBS radio broadcasts "Our Secret Weapon" created to counter Axis shortwave radio propaganda broadcasts during World War II. The Random Rarities Seven Collection contains these great rare shows and many more! CBS debuted Our Secret Weapon in 1942. 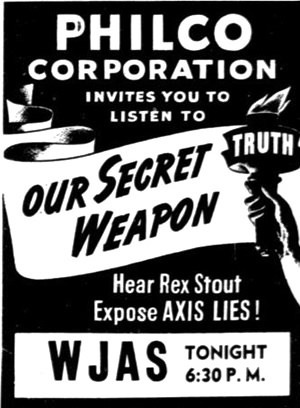 The program featured Rex Stout, who countered lies being broadcast by the Axis powers through shortwave radio. Great listening.